BRATTLEBORO—July 11 is the day Brattleboro will transition to a new trash collection schedule. As a cost-saving measure, the town is reducing weekly trash collection to every other week. Curbside recycling and compost collection will remain weekly. Assistant Town Manager Patrick Moreland and Pay-As-You-Throw guru Moss Kahler presented plans for rolling out the new town-wide curbside trash collection schedule, April 5. According to Moreland, residents have successfully adopted PAYT, which went into effect last summer. The volume of trash has been cut by more than half, Moreland said. Recycling has increased and composting has doubled. Composting makes reducing trash collection possible because it keeps all the smelly and rotting items out of household garbage, Moreland continued. The reduction is expected to lower expenses by more than $100,000, he said. That’s less money expected from the taxpayers. “We think there’s a real opportunity here,” he said. Kahler helped with community outreach and planning during the transition to PAYT last year. He explained that the pick-up week would depend on whether a resident lives on an “A” or “B” street. The town will publish street maps closer to the July 11 kick off date. “No one’s day is going to change,” Kahler added. If Triple T Trucking picks up at a person’s house on a Tuesday, the pick-up day remains Tuesday regardless of whether the person lives on an A or B street. Kahler said that approximately 50 percent of households in Brattleboro participate in the compost program. He hoped more would join and will announce dates for obtaining compost storage carts. Two of the May distribution days will be on a Saturday and one will be on a Wednesday. Another possible distribution might happen in July after the every-other-week schedule takes effect. The town will announce other public information meetings and distribute information closer to July. 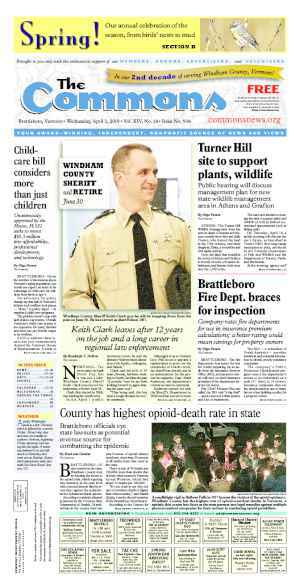 An unforeseen challenge for residents came last week when the Windham Solid Waste Management District — where Brattleboro along with other towns sends its recycling — announced it would no longer accept plastics marked with numbers three, four, five, six, or seven. 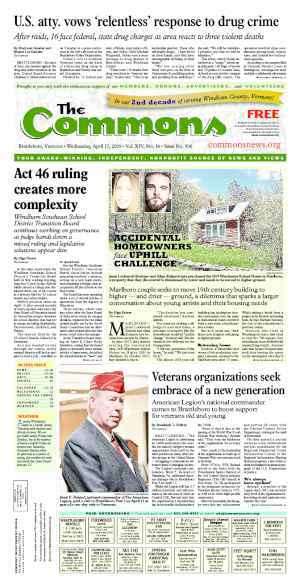 At the request of the district’s 19-member towns — a request most loudly championed by Brattleboro — the district cut the assessments it charged member towns. 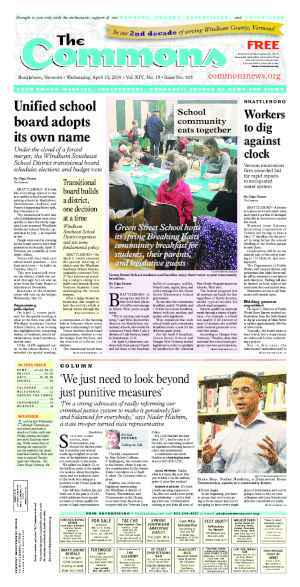 To do this, the district cut its budget by, for example, shortening its hours of operations. No longer accepting plastics numbered three through seven is another cost savings measure. These plastics don’t have a good resale market. Town Manager Peter Elwell said that the district’s change may cause some residents additional storage issues or costs because they may have to purchase extra bags. Reducing trash collection will happen no matter what, he said. The change in the plastics accepted for recycling will not pose health hazards, he stressed. The composting program ensures the food scraps and waste that rots go out the door every week. Elwell also noted that the district’s change might be temporary and reverse if the recycling market shifts. The three through seven plastics are only a subset of the recycling accepted by the district. Paper, glass, and plastics one and two are still accepted. In the meantime, Elwell is waiting on the results of a revenue study conducted by the district. 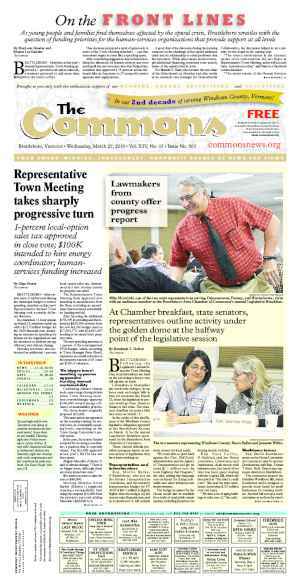 The district is exploring alternatives to raising revenues through the assessments levied on the towns, Elwell said. Currently, the district charges assessments to towns based on population. These assessments provide member-town residents access to the district’s programs such as hazardous household waste collection. Last December, mostly at Brattleboro’s urging, the district started exploring alternative revenue models such as fee-for-service. The results of the study are expected this summer. If the fee-for-service initiative is successful, Brattleboro intends to stay with the district’s programs, Elwell said. But, the town is also prepared to leave if it can save taxpayers money. “The town is certainly prepared, if necessary, to move forward and send its recycling elsewhere,” he said.